It's cool to see Marvel taking a chance with experimenting on this new format, and even cooler to be able to be a part of it! 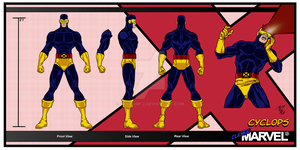 The story was written by Mark Waid, and the storyboards were done by Yves Bigerel, both of whom have also done a lot with digital comics. Perhaps together we can start to bring the comics industry into the 21st century! 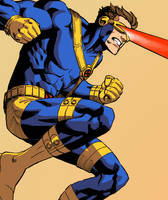 Cyclops was totally the good guy in AvX-- everyone else was just being haters! Just amazing work on both of them. Very different characters, but you've captured them both well. awesome!!!!! what do you mean by digital comics?